NEW ORLEANS, Louisiana, July 26, 2013 (ENS) – Two companies involved in the 2010 BP Deepwater Horizon oil spill in the Gulf of Mexico, the largest in U.S. history, have attempted to withhold evidence from investigating authorities, but one must now produce the documents sought, and the other is being penalized for destroying a separate set of evidentiary facts. Transocean Deepwater Drilling, Inc., owner of the Deepwater Horizon rig that exploded, burned and sank in the Gulf April 20-22, 2010, must now obey a court order to turn over documents subpoenaed by the U.S. Chemical Safety Board. This federal government agency conducts root cause investigations of chemical accidents and makes recommendations to prevent future incidents. In a separate case, Halliburton Energy Services Inc. Thursday agreed to plead guilty to destroying evidence in connection with the Deepwater Horizon disaster, the Justice Department announced. A criminal information charging Halliburton with one count of destruction of evidence was filed Thursday in U.S. District Court in New Orleans. Halliburton has signed a cooperation and guilty plea agreement for one misdemeanor violation associated with the deletion of records created after the Macondo well incident, to pay the statutory maximum fine of $200,000 and to accept a term of three years probation. The Justice Department has agreed that it will not pursue further criminal prosecution of Halliburton or its subsidiaries for any conduct relating to or arising out of the oil spill incident. Separately, Halliburton made a voluntary contribution of $55 million to the nonprofit National Fish and Wildlife Foundation that was not conditioned on the court’s acceptance of its plea agreement in this case. On April 20, 2010, while stationed at the Macondo well site in the Gulf of Mexico, the Deepwater Horizon rig experienced an uncontrolled blowout and related explosions and fire, which resulted in the deaths of 11 rig workers and the largest oil spill in U.S. history. On May 3, 2010, Halliburton established an internal working group to examine the Macondo well blowout, including whether the number of centralizers used on the final production casing could have contributed to the blowout. A production casing is a long, heavy metal pipe set across the area of the oil and natural gas reservoir. Centralizers are protruding metal collars fixed at various intervals on the outside of the casing. Centralizers help keep the casing centered in the wellbore away from the surrounding walls as it is lowered and placed in the well. Centralization can be important to the quality of subsequent cementing around the bottom of the casing. 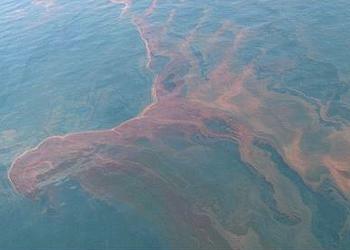 Before the blowout, Halliburton had recommended to BP the use of 21 centralizers in the Macondo well. BP opted to use six centralizers instead. As detailed in court documents, in May 2010 Halliburton, through its cementing technology director, directed a senior program manager for the cement product line to run two computer simulations of the Macondo well final cementing job using Halliburton’s Displace 3D simulation program to compare the impact of using six versus 21 centralizers. These simulations indicated that there was little difference between using six and 21 centralizers. The program manager was directed to, and did, destroy these simulation results. In June 2010, similar evidence was destroyed after Halliburton’s cementing technology director asked another, more experienced, employee to run simulations again comparing six versus 21 centralizers. This employee reached the same conclusion and, like program manager before him, was directed to “get rid of” the simulations. 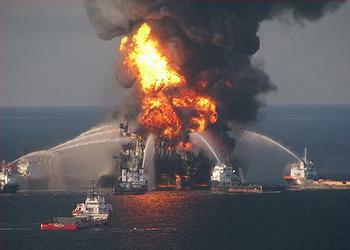 Efforts to recover the original destroyed Displace 3D computer simulations during civil litigation and federal criminal investigation by the Deepwater Horizon Task Force were unsuccessful. In agreeing to plead guilty, Halliburton has accepted criminal responsibility for destroying this evidence. The Halliburton guilty plea agreement and criminal charge are part of the ongoing criminal investigation by the Deepwater Horizon Task Force into matters related to the April 2010 Gulf oil spill. The Deepwater Horizon Task Force, based in New Orleans, is supervised by Acting Assistant Attorney General Mythili Raman and led by John Buretta, who serves as the director of the task force.